Last Friday saw the second meeting of the London Assembly’s investigation into the refurbishment and demoliton of council estates. The first meeting in June had heard from regeneration industry ‘specialists’, who caused a stir when Stephen McDonald, Southwark’s former head of regeneration boasted about winning an award for ‘emptying’ the Heygate of its residents in under a year. 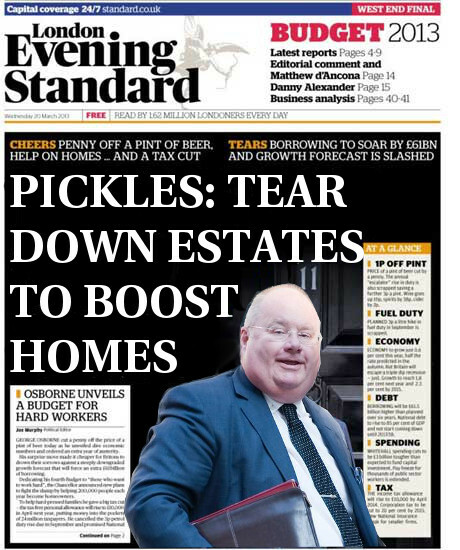 Stephen is now working for Barnet Council emptying the West Hendon estate of its residents. Twice during the meeting the question was asked “can anybody give a positive example of regeneration?”; unfortunately the answer was silence accompanied by widespread shoulder shrugging. This is a problem, particularly when the issue is polarised around the two opposed camps of refurbishment versus demolition. In the context of the seemingly universal agreement around housing shortages and the need for density increases, this can lead to equally universal claims that there is no alternative to the Heygate & Aylesbury-style wholesale discounted disposal option. What these polarised perspectives miss are the plethora of possibilities inbetween the two poles of refurbishment versus demolition. For example, in 1998 Southwark Council commissioned consulting engineers ‘Allot & Lomax’ (now part of the Jacobs group) to conduct a survey and options appraisal study for the Heygate estate. The engineers declared all of the buildings structurally sound but recommended that 6 of the estate’s 19 blocks be demolished and redeveloped to fit in with the Council’s plan to increase density, permeability and tenure mix; the remaining 13 blocks they recommended for refurbishment. Economic: Southwark Council has spent far more on ‘decanting’ the estate than expected. By Jan 2013 it had incurred capital and revenue costs totalling £65m2. Social: the social impact of the scheme and its failure to provide the new homes promised to Heygate residents has been widely documented. Environmental: the continued emphasis on the operative carbon emission comparisons between Heygate buildings and its intended replacements entirely disavows the question of embodied carbon, i.e. the carbon emitted from the construction of materials contained both in existing buildings and their replacements. This 2012 report by Gensler & Baqus shows that 40,000 tonnes of C02 emissions could have been saved by the estate’s refurbishment. So what might the Heygate have looked like had the Council followed the advice of its consultants? 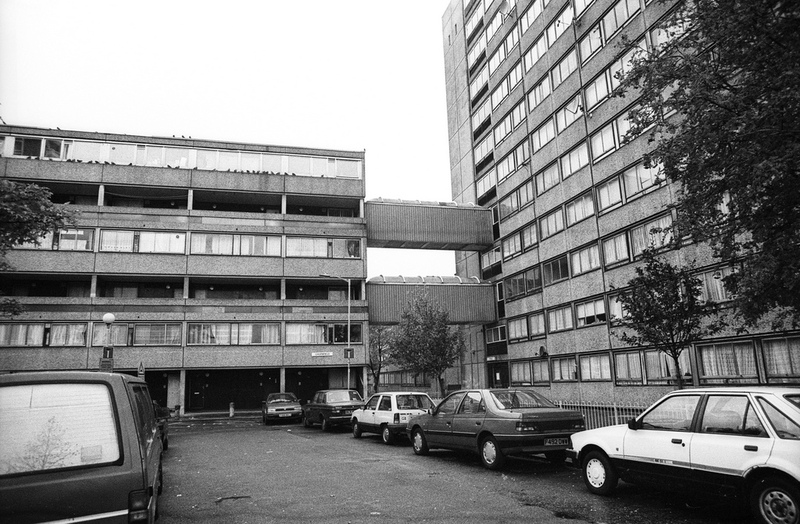 Islington’s Six Acres estate in Finsbury park was built in 1969 - five years before the Heygate and Aylesbury. In 2011 Islington Council passed plans for the regeneration of the estate. In 2012 the plans were implemented commencing with the demolition of one of the maisonette blocks containing 72 social rented homes. That part of the site along with the former car park, was sold for £8.4m to ‘One Housing Group’ who built 164 new homes comprising a mix of 82 private, 65 social rented and 17 intermediate units. All new homes were equipped with solar hot water and ground-source heat pumps. The remaining 9 blocks on the estate comprising 473 council homes were refurbished with new external wall insulation, new entry doors, exterior furnishing improvements, green roofs and cycle shelters. Disregarding the demolition and construction cost of the new homes, the refurbishment and landscaping works amounted to a total cost of £17m - far less than Southwark Council has spent just on decanting the Heygate estate. 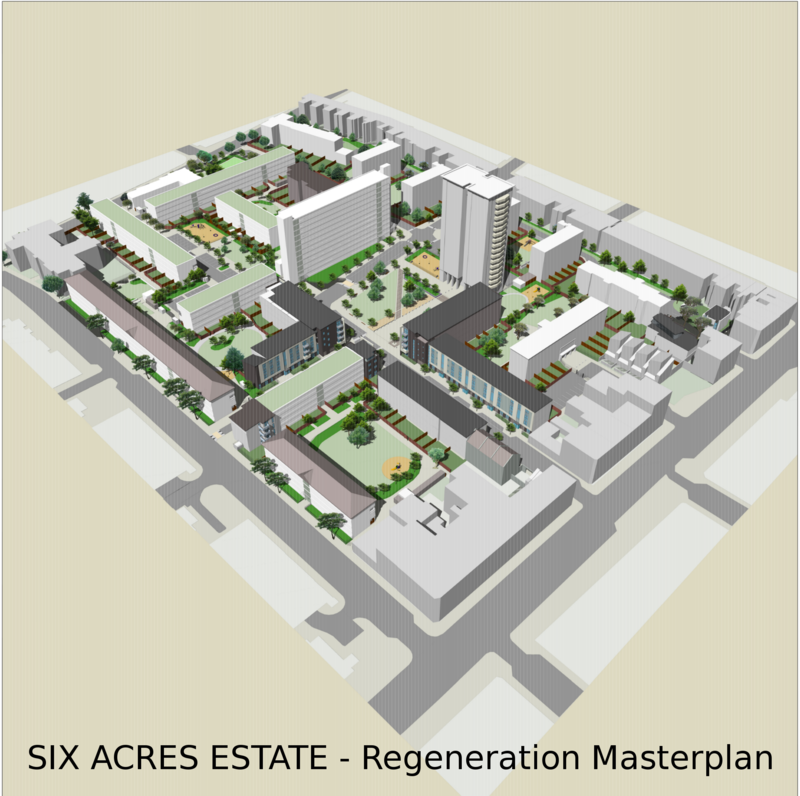 More information about the Six Acres estate regeneration can be found here, here, here and under planning application ref: P072153 on Islington Council’s Planning Portal. council estate demolitons and sell-offs?